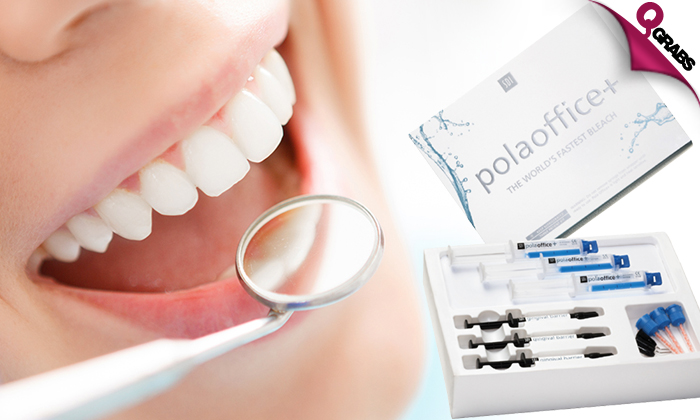 PolaOffice+ Whitening, Scaling & Polishing! Start with scaling and polishing your teeth before the whitening treatment. PolaOffice+ uses a 35% hydrogen peroxide formula to give you quick and efficient results without excessive time wasted on the chair. PolaOffice+ contains potassium nitrate, a known desensitizing agent. It acts on the nerve endings by blocking transmission of sensitive nerve impulses and providing a calming effect. No light is required to accomplish effective results, however, any heat emitting curing light will accelerate the bleaching process to achieve results in just 30mins. Whiten and clean your teeth with 53% off! The goal is to provide patients with the highest quality dental care in a comfortable, relaxed and friendly environment with the use of most advanced technology, technique and materials. Through patient education, they strive to give you an array of choices so that you can make a healthy and informed decision for you and your family.